Because I live with someone who can not handle the smell of cooking meat indoors, I need to grill outside in a covered area. I'd like to get a grill, but for right now, cost is a major issue. Electric would be best. Carl! That's too bad! Ours was fine for a whole decade. I wonder if each model has it's own issues. Off to shop. Thank you! Looks great. If it had a good it would be perfect. I've had 2 Foreman grills, and the coating didn't last a year before scraping off. The Foreman is great. It even has a little catcher for the juices (salad dressing). It doesn't squeeze anything if you don't press it down. I'd say get one with removable plates for easy cleaning. all the flavor that gets squeezed out of the food too! yeah just reminding people, I cry a little at all the good cooking fat that goes down the drain from those horrible machines. Dont let the fat drain off!!! save it. Although, I'm not a fan of non-stick surfaces. That's my only caveat. You might try a George Foreman Grill. My husband had one for years and loved it. Cast Iron Electric Grill. +1 for Cast Iron! -1 for currently unavailable, but im sure you can find it somewhere other than amazon. Heres 5 on ebay, $40 each. 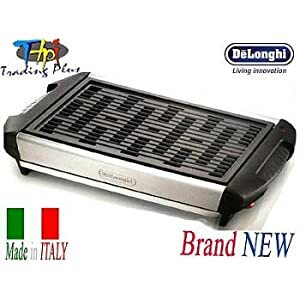 Does anyone use this Weber Grill? I thought it was over priced for an electric grill and it has mixed reviews.